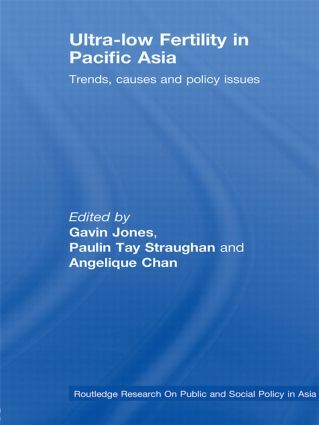 This book brings together work by noted experts on the low fertility countries of East Asia with an up-to-date analysis of trends in fertility, what we know about their determinants and consequences, the policy issues and how these are being addressed in the various countries. Its role in bringing together information on policy trends and initiatives of a pro-natalist kind adopted over recent years in these countries is extremely important, as is the fact that the discussion of these pro-natalist policies is set in the context of a thorough analysis of what has driven fertility so low in these countries. Ultra-Low Fertility in Pacific Asia is invaluable to students and scholars of East Asian public and social policy, as well as fertility studies more generally.